The Mathena Center will be a cutting-edge athletic training facility inside the Eddie Hurt Athletic Complex. SHAWNEE—Oklahoma Baptist University (OBU) held groundbreaking ceremonies May 15-16 for three major construction projects on its campus. Ground was broken on Thurs., May 15 for the Jane E. and Nick K. Stavros Hall, the future home of the OBU College of Nursing. This free-standing and cutting-edge nursing education facility will be constructed immediately north of OBU’s Shawnee Hall, on the southwest corner of MacArthur St. and Kickapoo Ave.
On Fri., May 16 OBU officials also broke ground for the Mathena athletic training center and Building Four of the Residential Village prior to the university’s 100th Spring Commencement that afternoon. Nick Stavros, founder and CEO of Metro Appliances and More, provided the lead gift for the nursing building. Stavros was married to the late Jane Eleanor Stavros, daughter of Victor C. Hurt, legendary OBU athletic director and football, basketball and track coach. 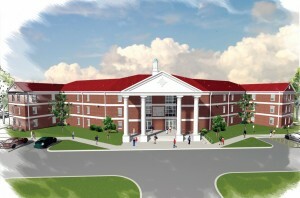 Stavros Hall will be the home of the OBU College of Nursing. 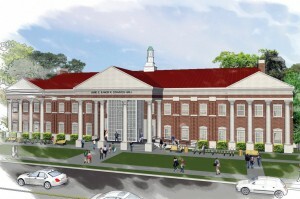 Stavros Hall will be a two story 31,000-square-foot nursing education facility. It will contain five classrooms, with a 30-seat classroom, three 65-seat classrooms and a 109-seat lecture hall, as well as a state-of-the-art computer lab. The facility will feature six state-of-the-art, high-tech skills simulation labs, with 22 beds. These will include a medium skills lab, a health assessment skills lab, a low risk skills lab and a home health and bathing training room. 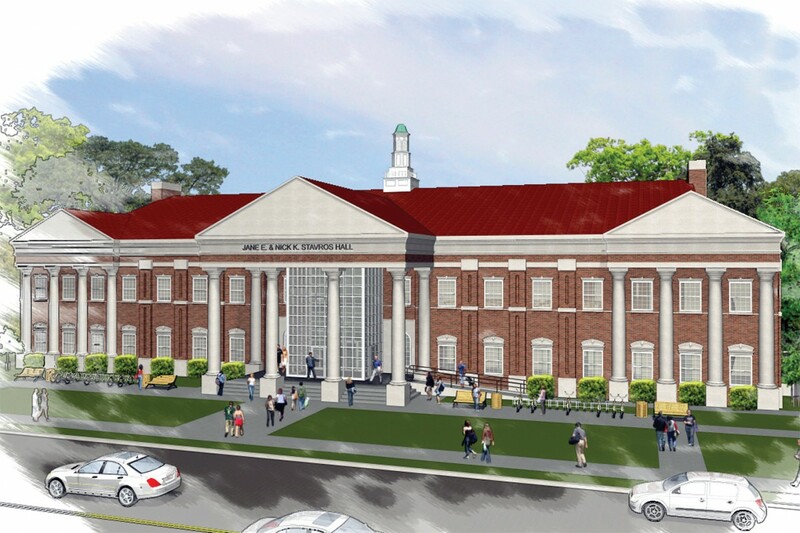 The building will also include the administrative office suite for the College of Nursing, a conference room, faculty offices and office space for adjunct faculty. 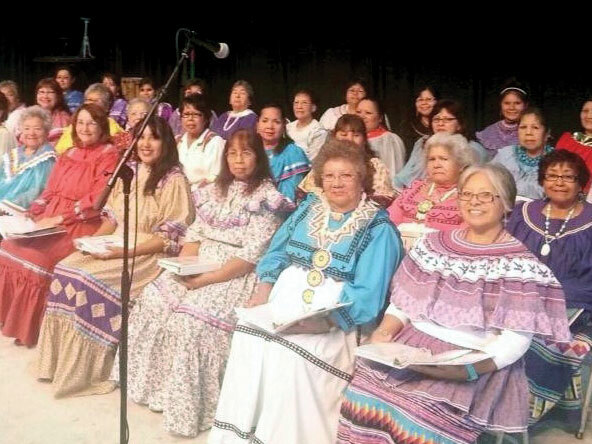 The OBU nursing program was the first baccalaureate nursing program in Oklahoma and the first baccalaureate program in Oklahoma accredited by the National League of Nursing. It has maintained continuous accreditation (currently through the Commission on Collegiate Nursing Education) throughout its history. Founded in 1952, the first graduation took place in 1956 with 10 students. Since then, the OBU College of Nursing has graduated more than 1,000 nurses with baccalaureate nursing degrees. Building Four of the University’s Residential Village is a 41,810-square-foot, suite-style housing facility built to house 162 students. For more information about the OBU College of Nursing, visit www.okbu.edu, or call 405/275-2850. Building four in the student-housing village is a 41,810-square-foot, suite-style housing facility that will hold 162 students. Separated by a student complex, the two wings of the building allow flexibility in how OBU manages its growing student population. The building will be located north of MacArthur St. near Raley Dr. 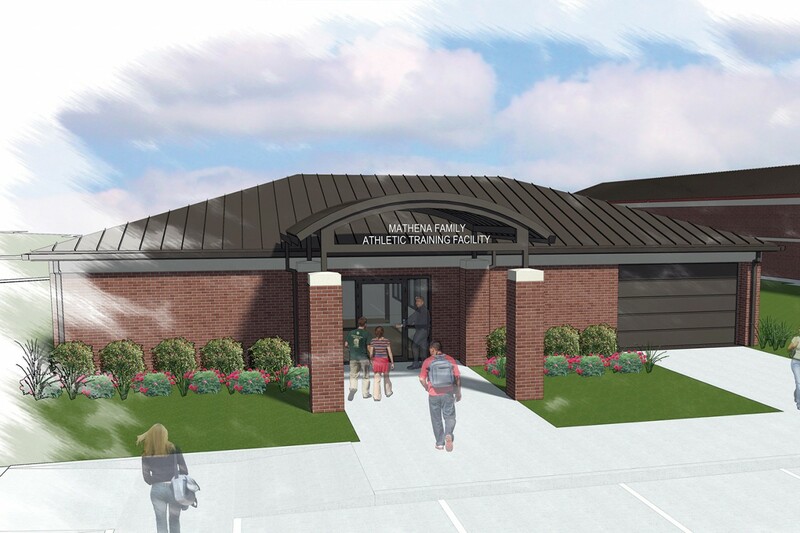 The Mathena Center will be a freestanding and cutting-edge athletic training facility to be constructed inside the Eddie Hurt Athletic Complex between the Jay P. Chance Track Building and Bison Field. The facility will feature a cold plunge pool, whirlpools, taping tables, and a garage for medical vehicles used at athletic events.